Join us for the social highlight in the Oxfordshire sporting calendar on Easter Bank Holiday Monday. We are also delighted to welcome back title sponsor Cazenove Capital Management. 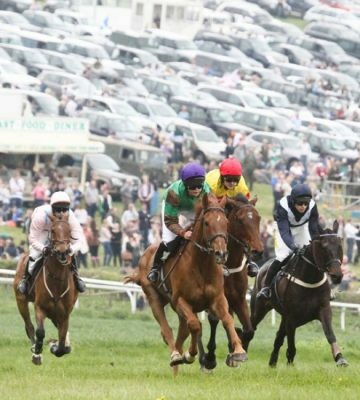 Visitors to this year’s annual Cazenove Capital Old Berks Point-to-Point & Family Day at Lockinge on Monday 22nd April 2019 will be treated to two pony races in addition to six further thoroughbred jump races. Plenty of Easter family off the track entertainment will also ensure that this year’s renewal will provide a bumper day for visitors. Please see the Point-to-Point page for full details or download the form for Sponsorship / Advertising details.